If you see God as a powerful, smart, nice, moral, but fallible being this seems entirely plausible. Based on my experiences in life, I can believe in a powerful, loving, but limited God that can fail you, but will apologize and try to make it up to you later. 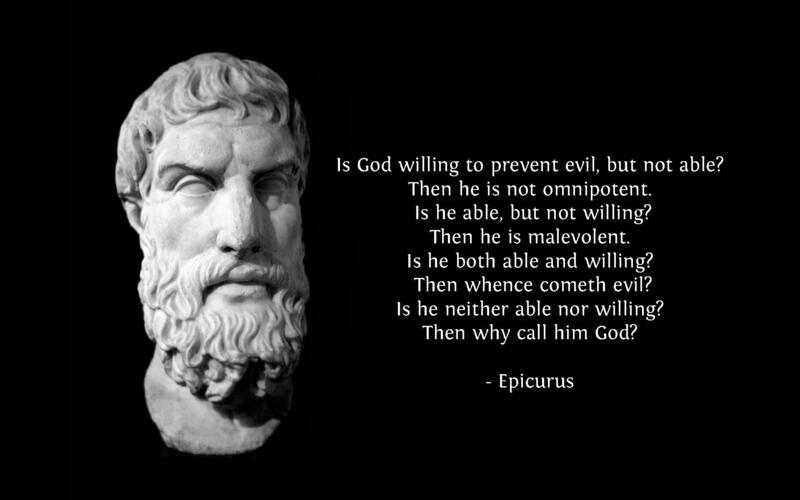 Isn’t god meant to be omnipotent and all knowing? How can he fail if that’s the case? And if he can fail just like everyone else then the hell should we listen to his commandments or trust in his own morality anymore than our own? The thing is that God wouldn’t have let Abraham sacrifice his son, it was always a test of loyalty, to make Abraham show he would follow God’s commands even if they seemed to make no sense at all to the human mind, hence why God stopped him. He could have ben told to go jump off a bridge and the outcome would be the same. That’s why Christians love to trot out questions on this particular topic as examples of questions of faith.